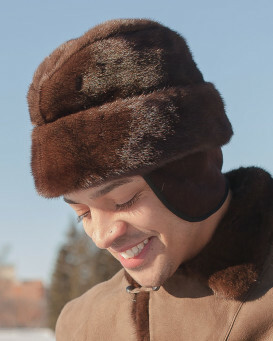 With so many styles, designs, and fur types to choose from you can have a fur or shearling sheepskin hat for any occasion. 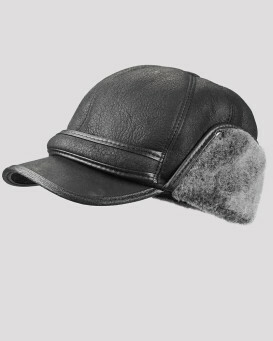 From our selection of Classic Men's Fur Hats, perfect for a classic statement, or our Aviator & Bomber Hats, ideal for outdoor activities. 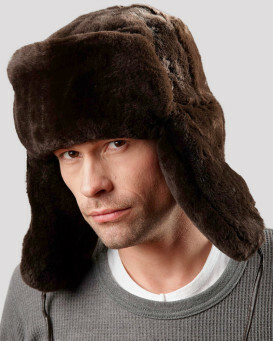 Or try one of our Russian Ushanka style hats for the ultimate combination of masculine style and cold weather protection. 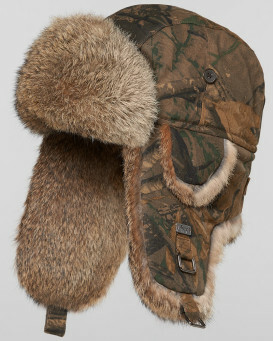 A FRR Brand Men's Winter Hat is a purchase of value and quality that will last many years. 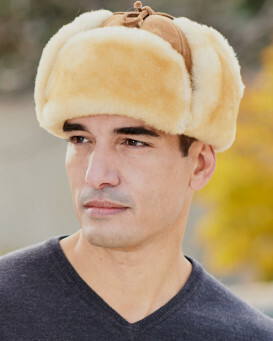 In many instances, people choose to have more than one fur hat in their wardrobe; a different style for a different occasion. 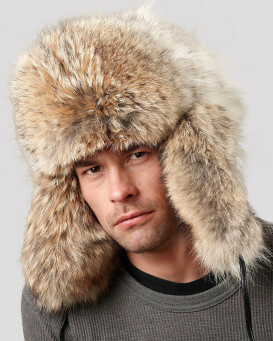 Fur hats are a fun winter accessory that will spice up your outfit, and keep you cozy at the same time. 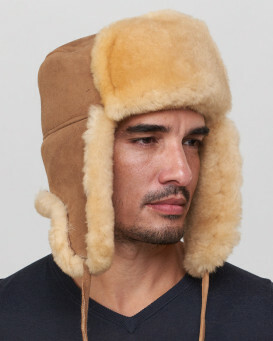 Top quality men's winter hats are made from real fur and shearling sheepskin. 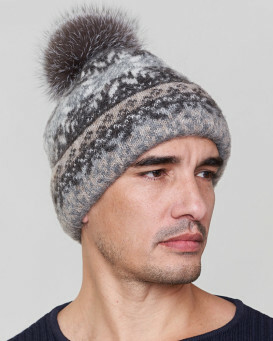 Our winter hats are ideal for cool weather and designed to keep you looking stylish while staying comfortably warm. 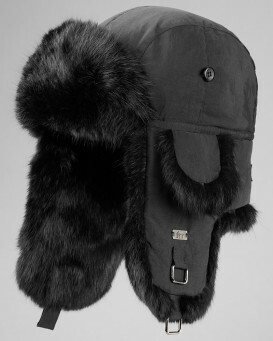 Shop for classic styles, trendy or casual in your choice of genuine fur and sheepskin. 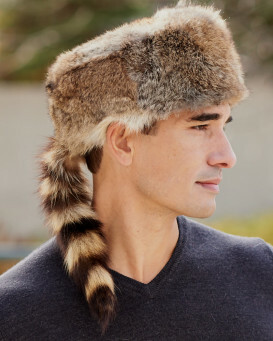 We offer fur hats in all of the warmest and softest fur choices including Beaver, Coyote and Rabbit Fur Hats which are great for everyday wear. 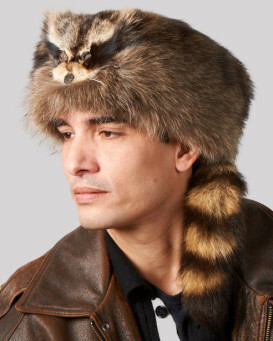 We also have Muskrat, Badger, Sheepskin and Raccoon. 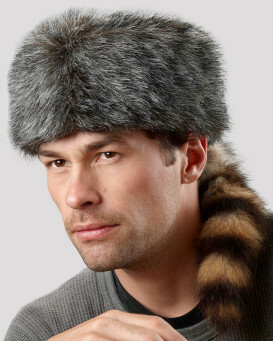 And dont forget the luxurious Sheared Beaver and Mink Hats. 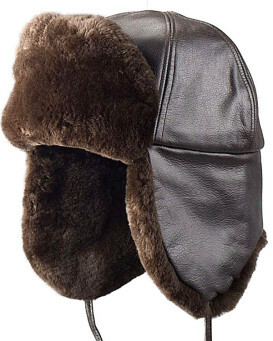 Fur hats are excellent for wearing to the football stadium to watch your favorite football team or ice fishing on your favorite lake. 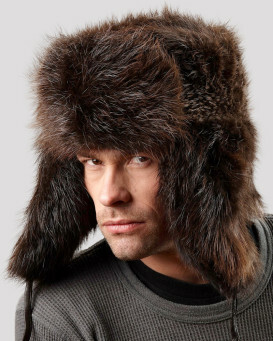 They are a must for the winter outdoor enthusiast. 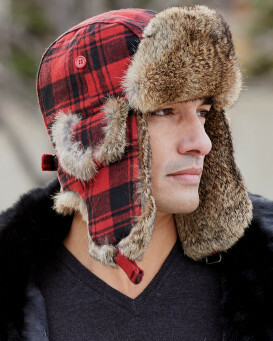 You won't be stopped by frigid weather while taking in the fun of downhill skiing, cross country skiing, or ice skating. 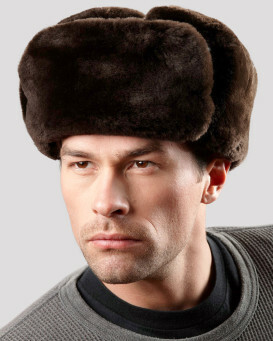 Whatever the event, you can be sure you'll be in style and toasty warm wearing a genuine fur hat. 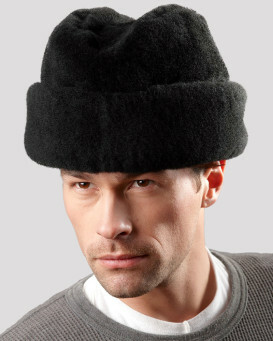 "I purchased 3 hats in this style...one for my husband, one for my father-in-law and one for my son. They farm and spend a lot of time outdoors during our -35 C winters. 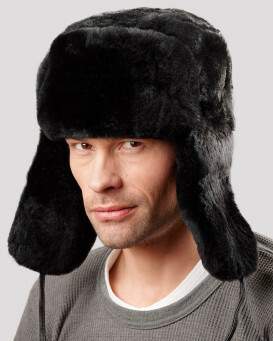 All three have commented about how warm and comfortable the hats are. 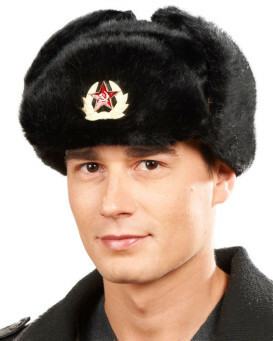 We were all impressed with the workmanship and quality of the hats. 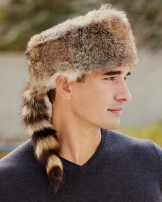 One was found to have a slight imperfection that was likely acquired during the manufacturing process. They took care of it right away and sent us a new one. 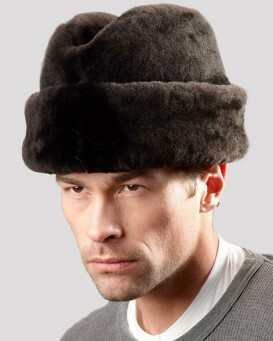 We are very happy with the hats and the customer service and definitely recommend Fur Hat World!" 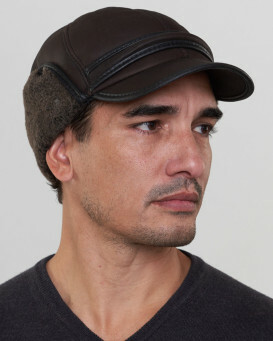 "I ordered this hat for my son for Christmas, fits perfect, awesome quality. 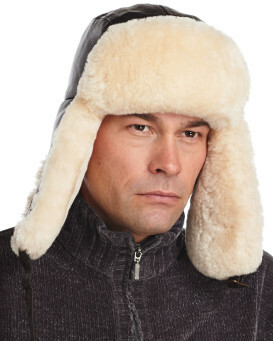 He wears it constantly especially through this last month of cold weather, says its the best gift he has ever received. 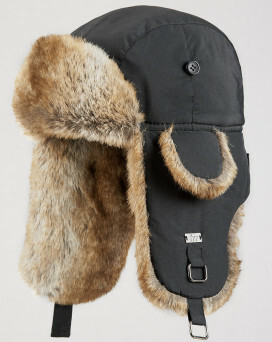 The hat arrived quickly even though there was still as Canada Post backlog due to the strike. Great experience overall. Thanks!" 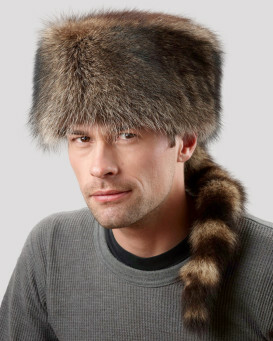 "My son kept trying to find a hat like this that fit him. This one actually did. 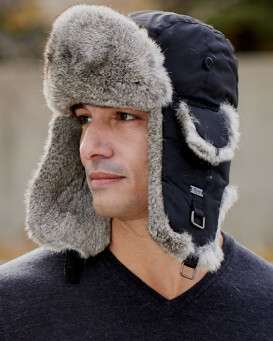 It fit perfectly (the size is adjustable) and it's incredibly warm. 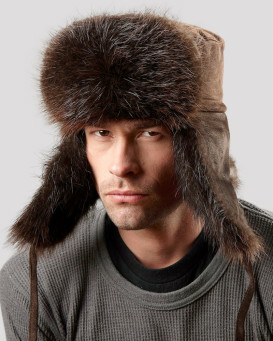 He stands outside to smoke and the temperature has been single digits. 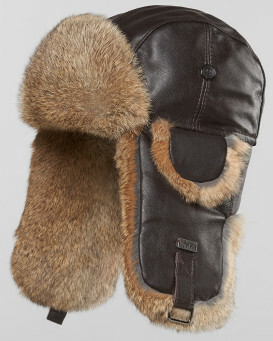 While the wind chill has been below zero. 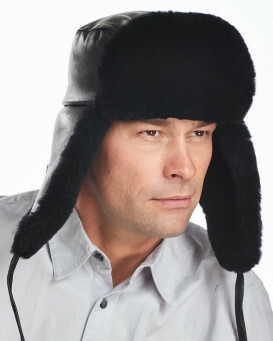 He said, so far, his head has not gotten even a little bit cold (even though he just shaved his hair off). 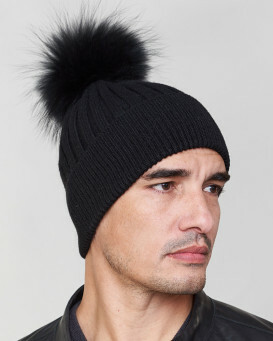 Plus, they said three day delivery and they meant it. We couldn't possibly be happier." 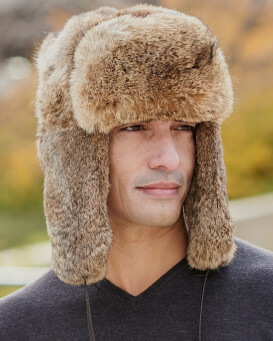 "I discovered FurHatWorld while searching a vendor to replace my Mad Bomber fur hat.I found a good variety of real rabbit fur lined hats available for purchase. 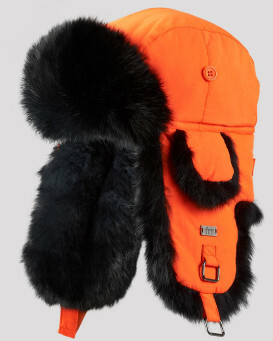 I decided to get the blaze orange and black rabbit fur lined cap. I received it in just a few days and I must say it is just awesome. 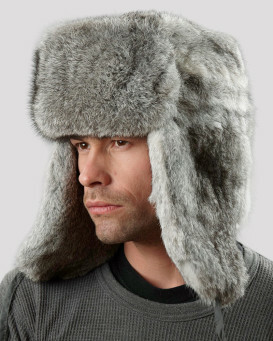 I couldn't ask for a better, comfortable and warmer hat, especially with real rabbit fur in this price range. 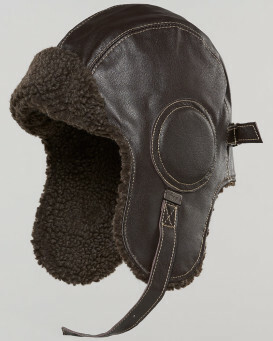 It seems to be pretty durable and will hold up to the rigors of being abused in winters to come. We'll see how it lasts over time, but I think its a real winner." 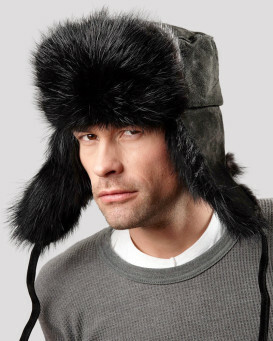 "PROS 1) This hat ALWAYS keeps my head totally warm in negative temperatures we get here in New Hampshire. 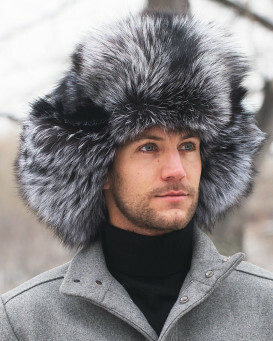 The coldest it gets here (so far) has been -19F (-28C) with the worst wind chills being -30F (-34c) 2) Hat is durable and made to last. 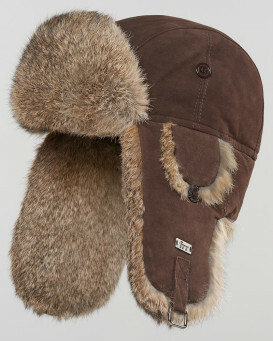 This will be one of your favorite hats for years. 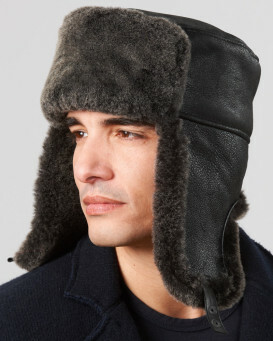 3) In extreme temperatures (polar vortex conditions with high winds) I can wear a polyprop balaclava underneath the hat fine. 4) I'm female, 5/7, and ordered the male XL bc it fit the circumference of my head. Fits fine. 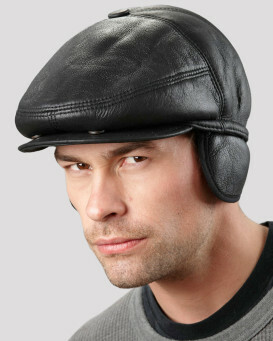 CONS ('Druthers) 4) Chin strap, at the widest setting, is uncomfortably snug. 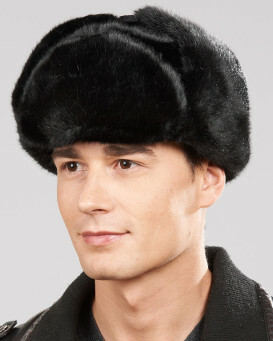 (It's doable, but I wish there the chin strap was longer. Note: it has a few snaps on it. But I use the longest length setting.) 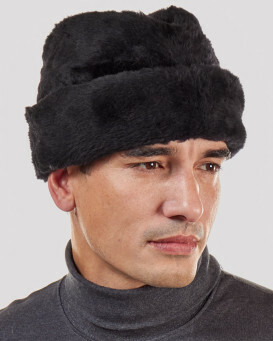 Not sure how well chin strap would work for men who have square (wide) jaw lines. 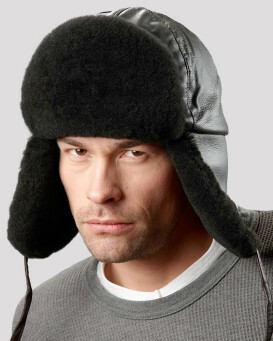 5) Interior of hat (for top of head area) is made of quality quilted silky material. 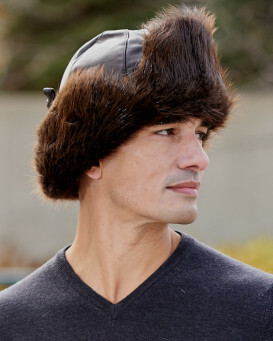 Downside is hat can be slippery on your head in high winds. (See #4. Also see #3 for alternative use.) 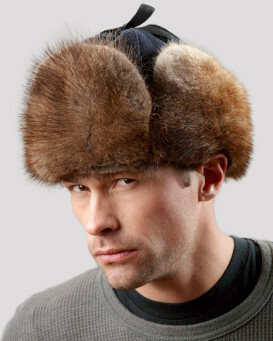 or if you wear a TurtleFur neck gaiter, when you tile your head back, it will push your hat forward over your brow line." "Here in the Pacific Northwest we don't get cold weather that often anymore. But this Feburary we got a lot of snow and cold weather. 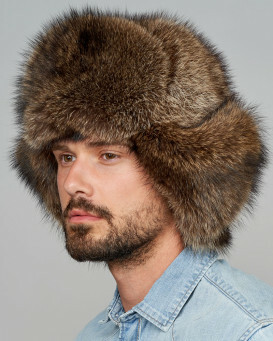 I have always wanted a real fur hat and now I have two, and I love them both. 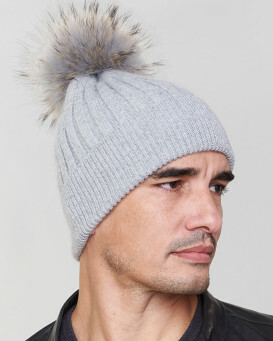 They are the real deal I have the mink hat and now the rabbit one and when I wear either one people always say very nice hat or I love that hat. And the staff at FurHatWorld have always been awesome !" 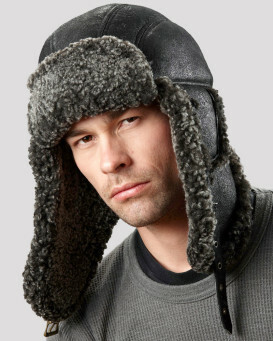 Based on 936 customer reviews.